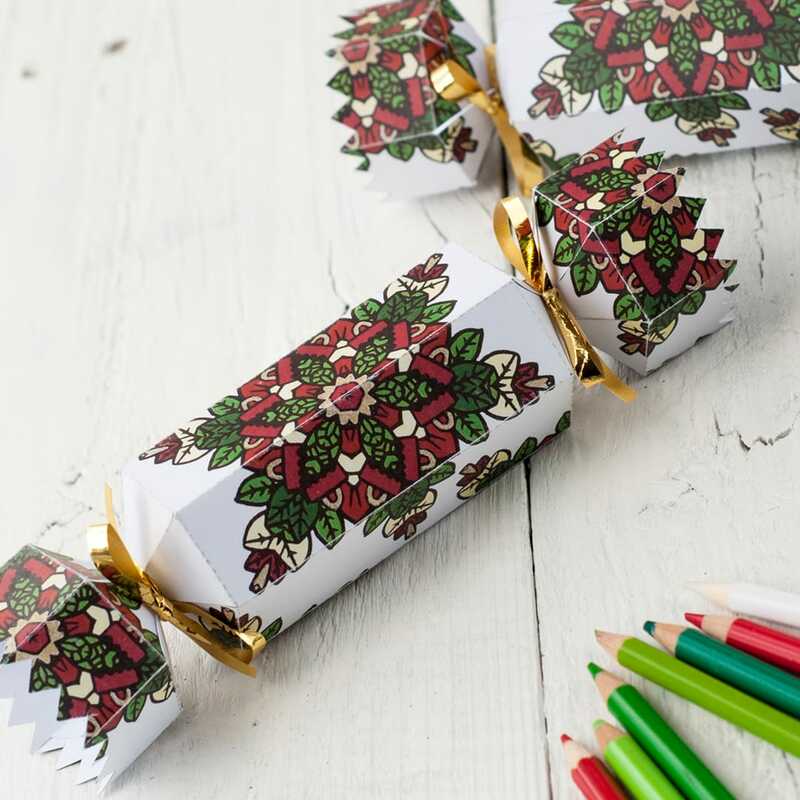 How to Make a Christmas Cracker | FREE Printable Template and Tutorial for a DIY Christmas Cracker with a Coloring Page Twist! 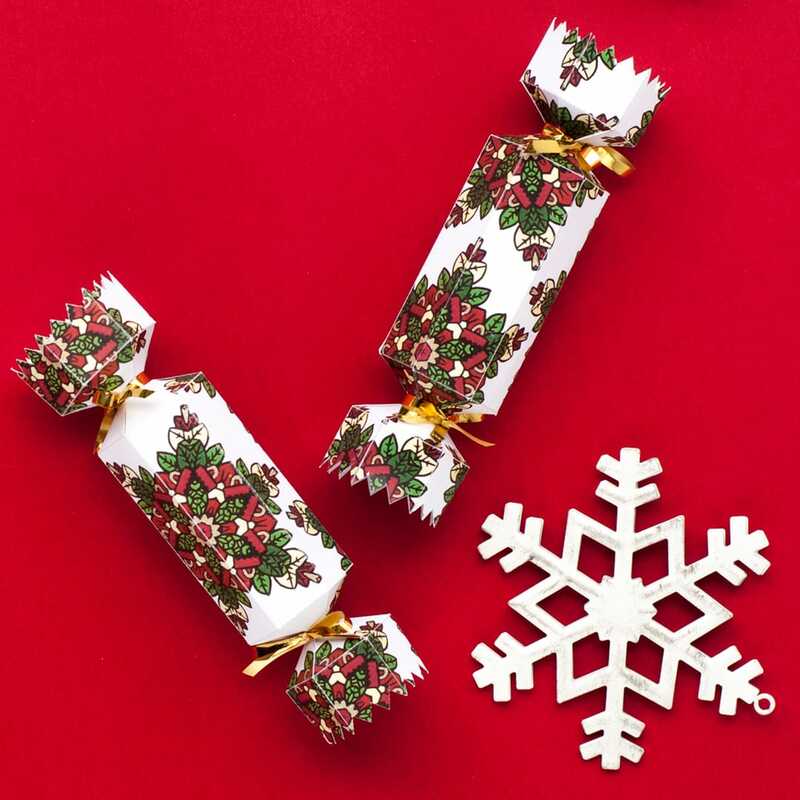 Here in Australia, Christmas crackers (AKA bon-bons) are a huge part of our Christmas celebrations. 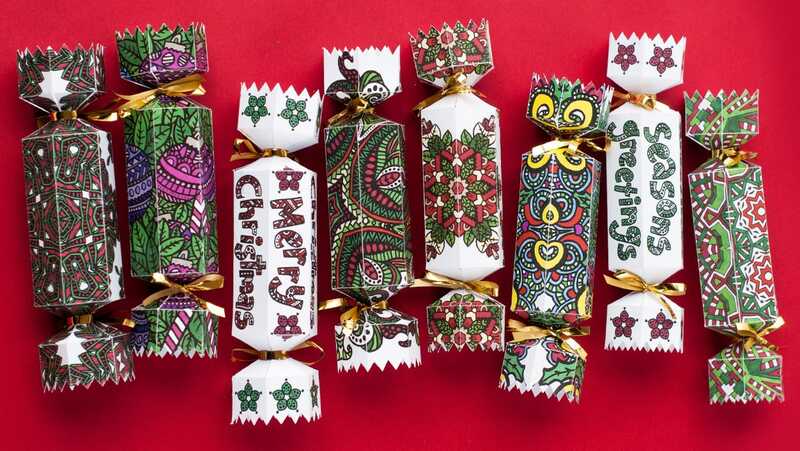 They make an appearance on the table at almost every Christmas dinner we attend, ready to be ripped apart, so the “winner” can wear their paper crown prize with pride. 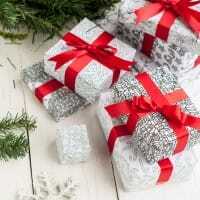 The jokes are always terrible, the gifts are usually ridiculously small and cheap, but they are much loved and are a Christmas tradition for so many families around the world. 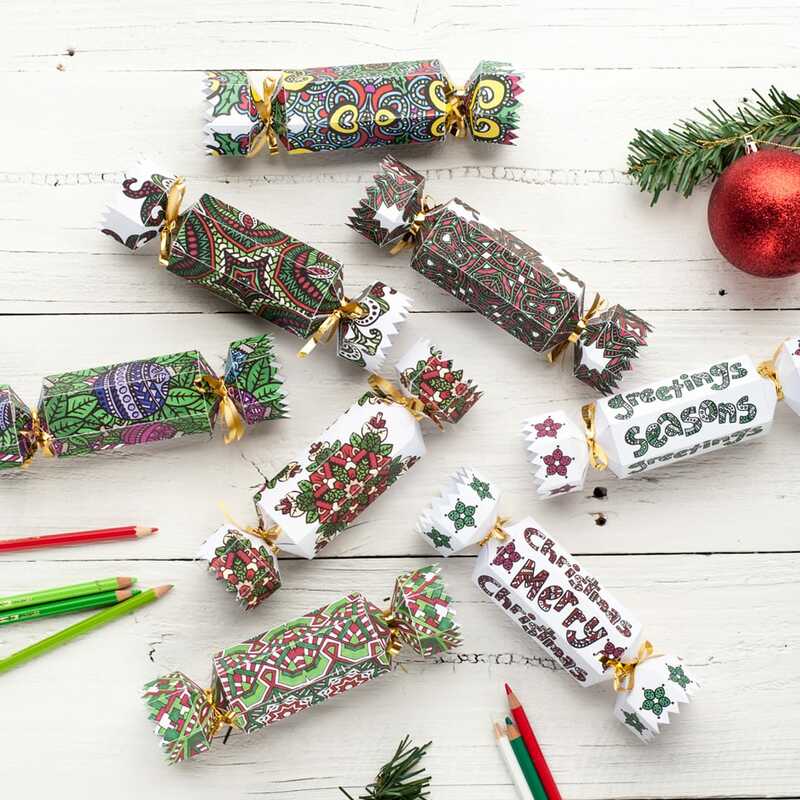 This inspired me to create a Christmas cracker template so you can get crafty and make your own crackers too! 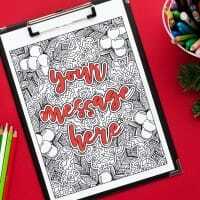 It’s a really nice way to personalize the experience and you can fill them with whatever you want! 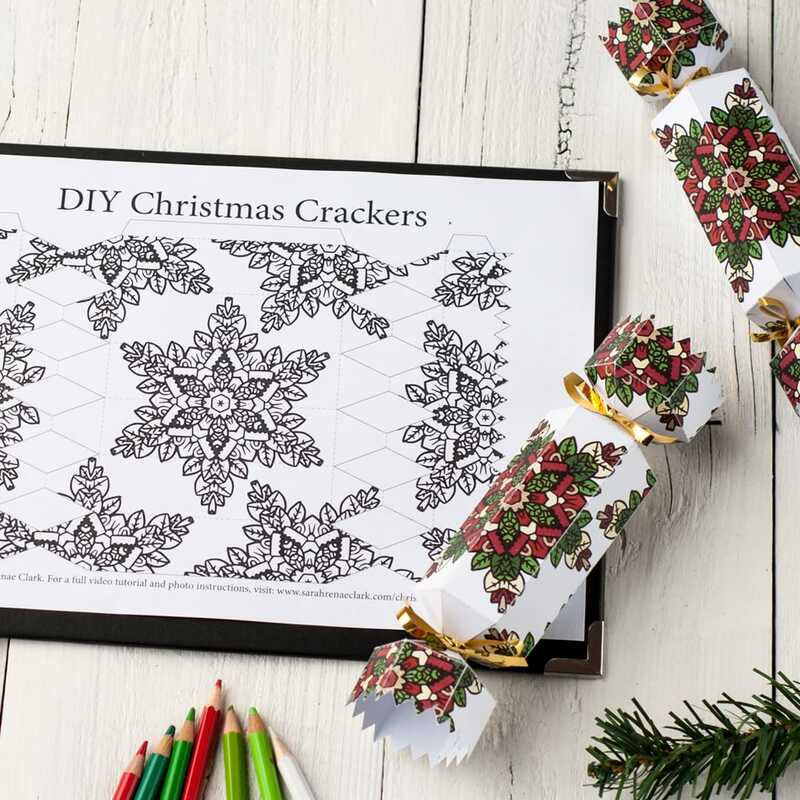 I’ve created a series of 8 Christmas cracker templates that you can download and color in (because coloring just makes them even more fun!) 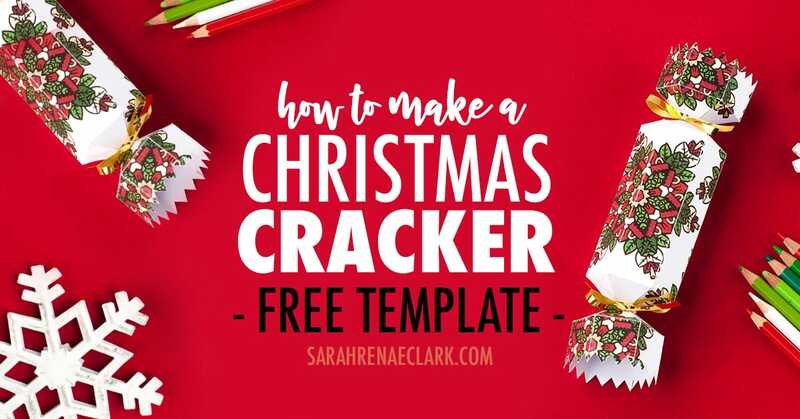 or you can grab the free Christmas cracker template that we’ve used in this tutorial below. 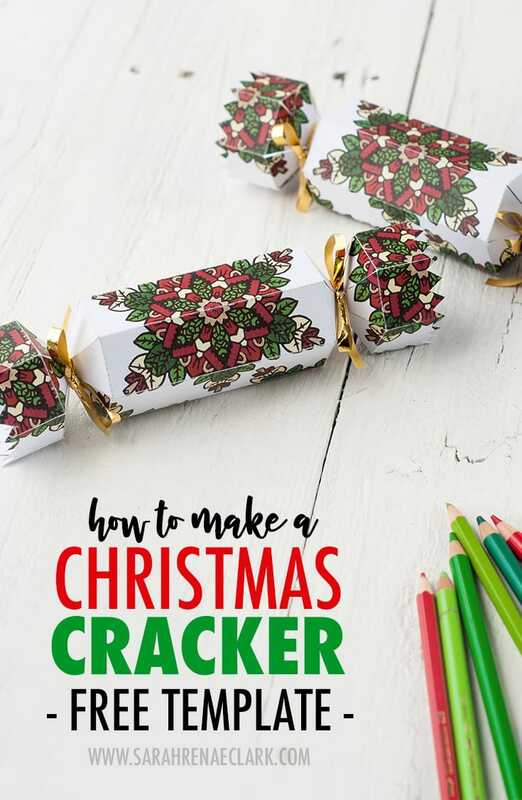 The traditional Christmas cracker includes a “cracker snap” to make a bang when it’s pulled apart – but I haven’t included one in this tutorial because I think these crackers are too nice to be pulled apart – I’ll be using them as a special gift box under the tree instead! 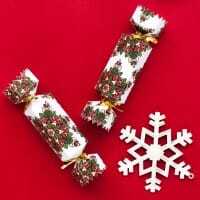 But if you do want to add a cracker snap, you can purchase them from Amazon below (affiliate link). 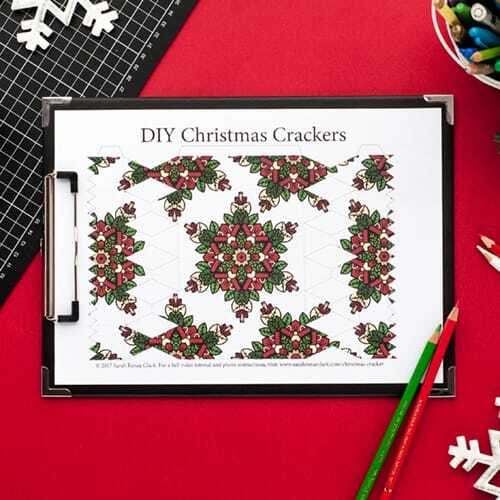 I printed my template on 200GSM card stock in this tutorial, because I wanted to make a strong cracker for under the tree. 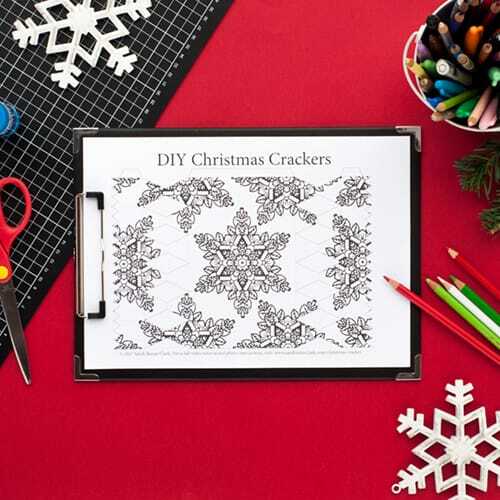 But you can also use standard printer paper, especially if you’re planning to rip them apart! 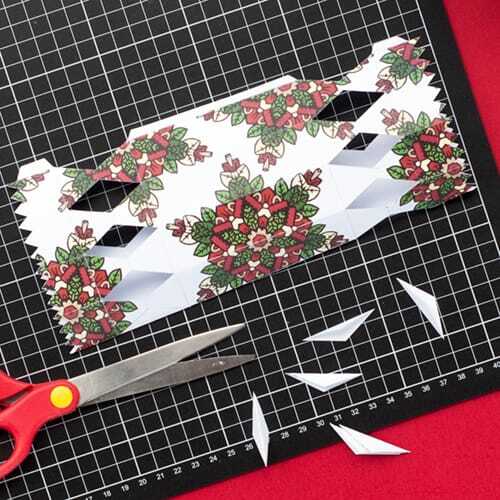 If you’re using thicker card, it’s a good idea to score your paper before folding. 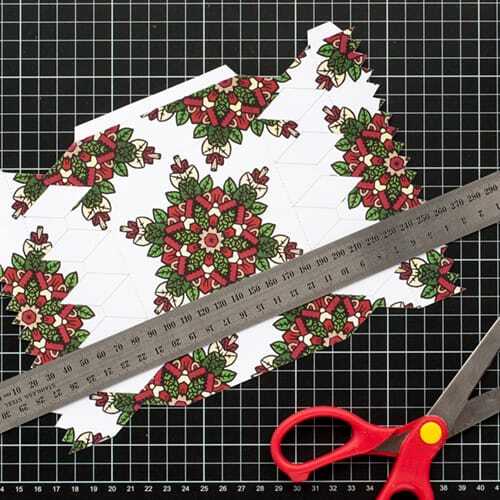 I just used a paperclip, compass or scissors (carefully!) 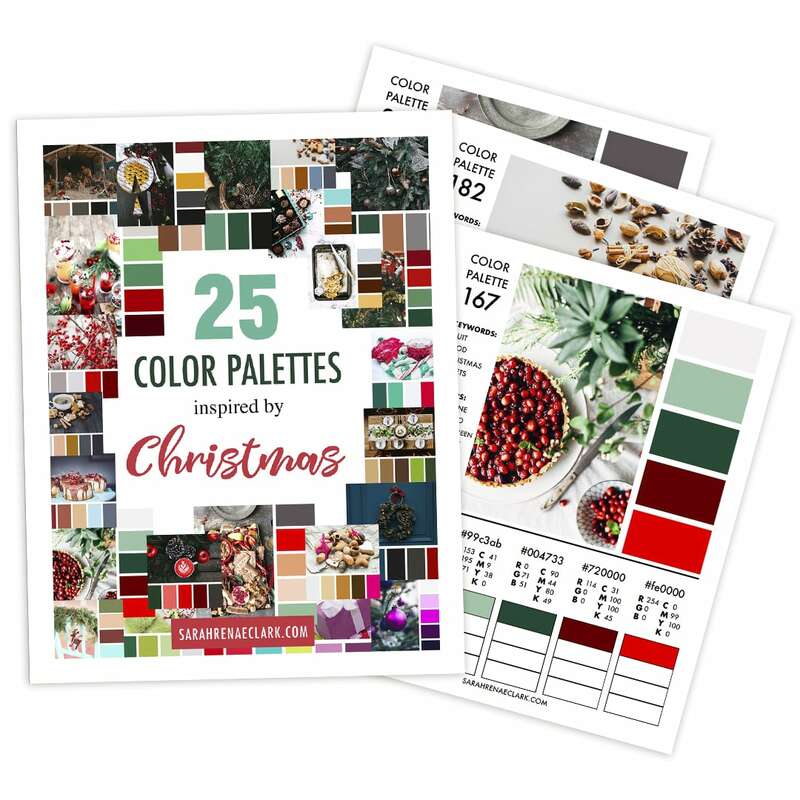 and ruler to do this, but you can purchase proper scoring equipment (like this one on Amazon – affiliate link) if you prefer. 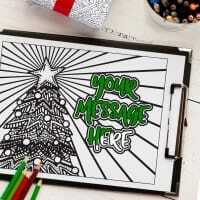 It’s not necessary to score standard printer paper. 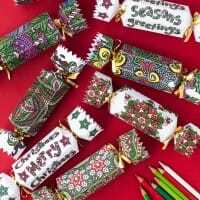 This Christmas cracker is also designed to have distinct, flat sides, however, if you don’t fold the horizontal lines, you can create a cylinder-shaped cracker instead. 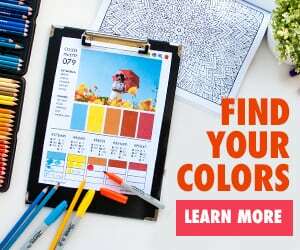 This is totally up to you! 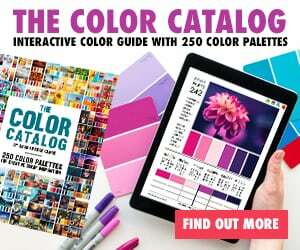 Let’s jump into the instructions! 2. 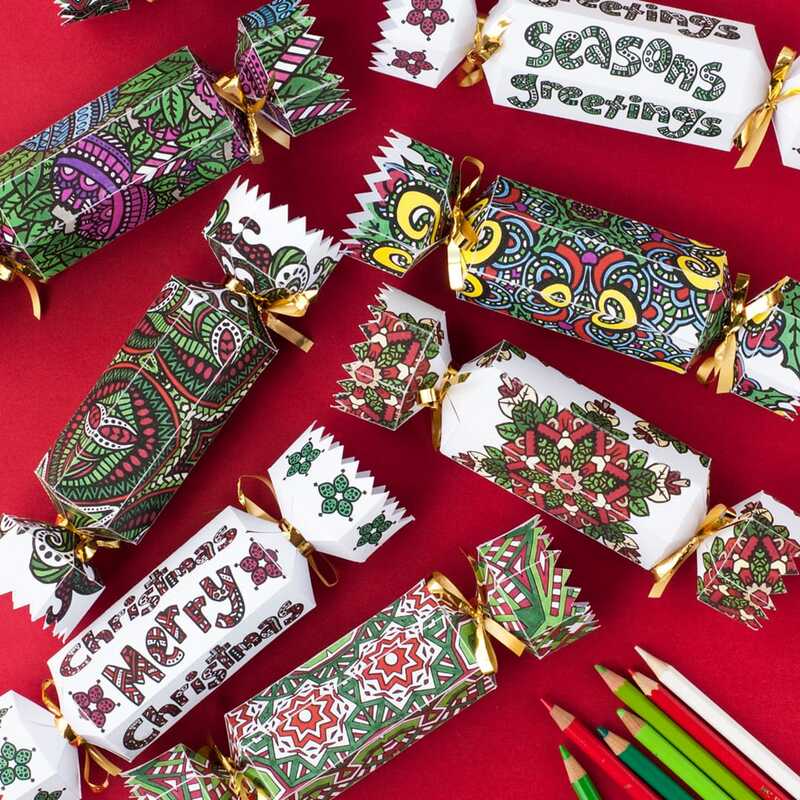 Color in your cracker and get creative with your colors! 4. 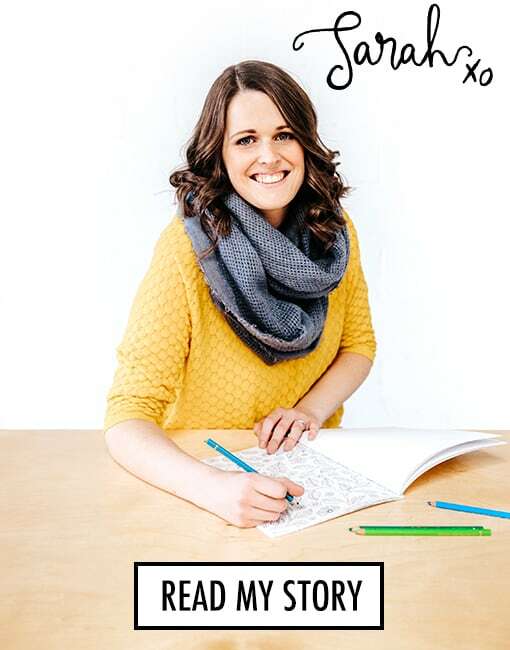 If you’re using thick card, score along the horizontal dotted lines. 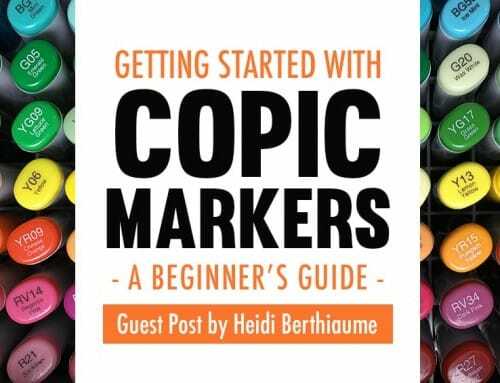 I’ve just used scissors and ruler to do this (pressing lightly), but you can purchase proper scoring equipment (like this one on Amazon – affiliate link) if you prefer. 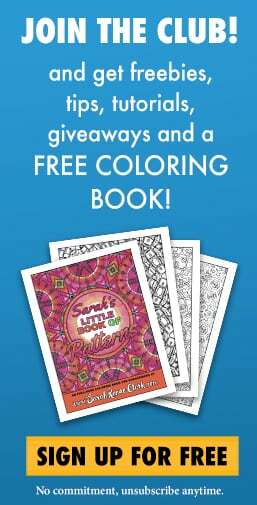 Thinner paper won’t require scoring before folding. 5. 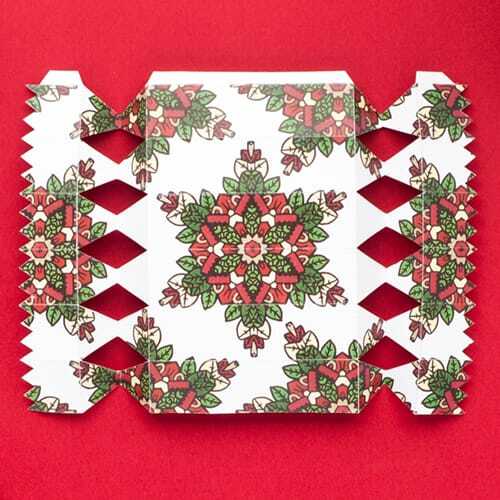 Turn the page over, and score on the back of the card along the line that runs through the middle of the diamonds at each end of the cracker. 6. Turn the page back over and score the remaining vertical lines (excluding the line through the middle of the diamonds). 7. 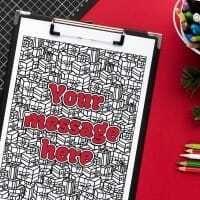 Fold along each horizontal line that you just scored. 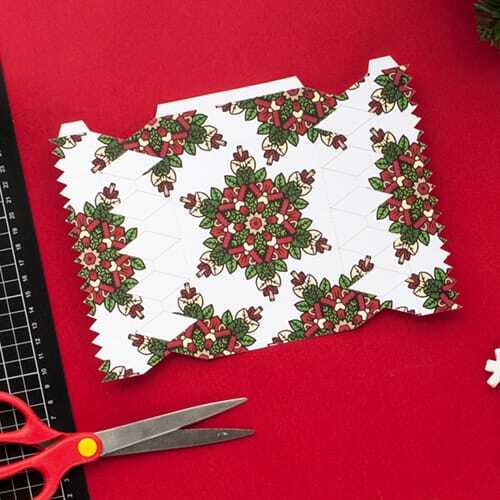 This is the best time to cut out the diamonds, because folding it makes it easy to access with the scissors. 8. 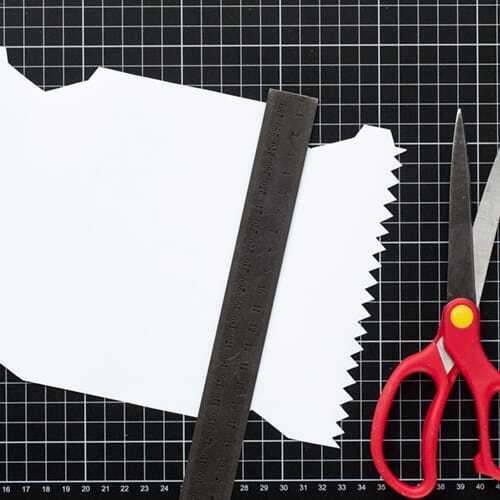 Once everything is cut out, fold along the remaining scored lines. 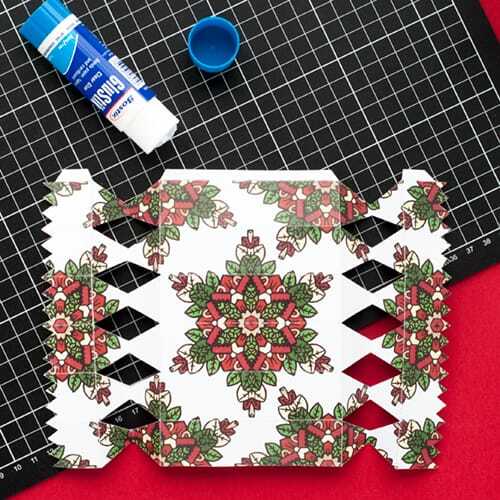 Make sure the fold in the middle of the diamonds goes the other way. 10. 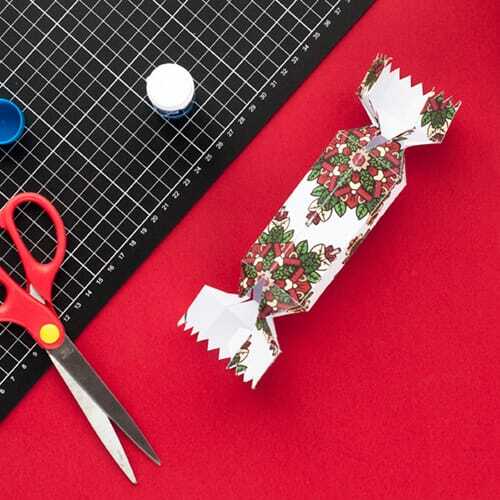 Roll your cracker and glue the tabs to the back of the opposite side to create a cylinder-like shape. 11. 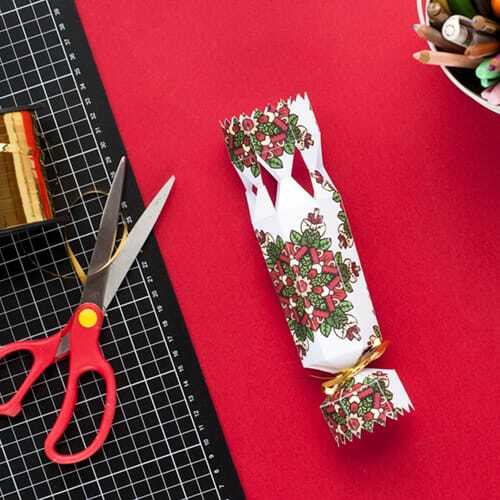 Use a ribbon or twine to close one end of your cracker, then fill it with goodies! 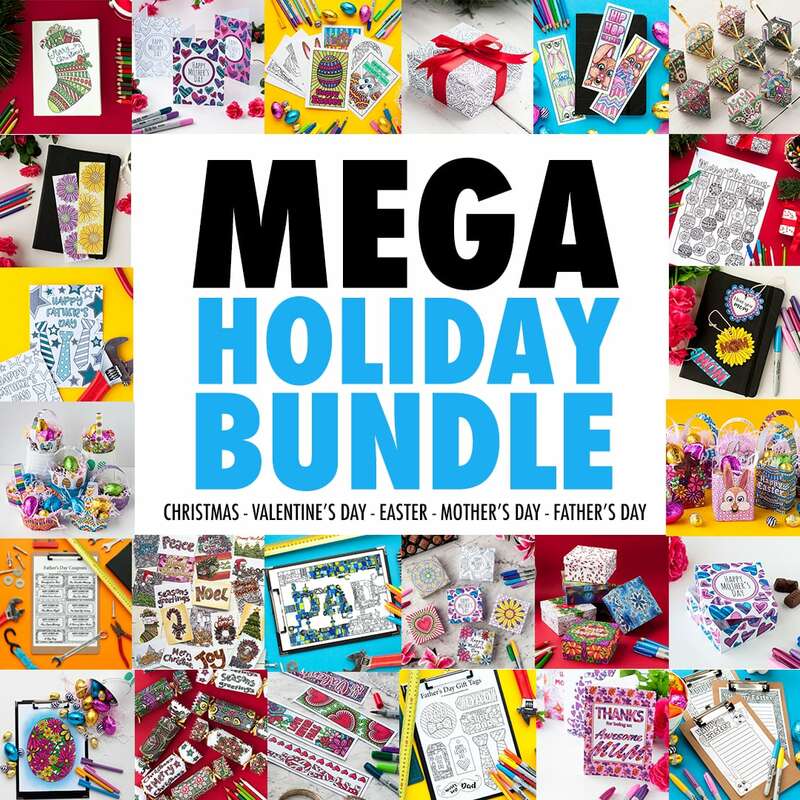 Candy, paper hats, bad jokes… you know the drill! 12. 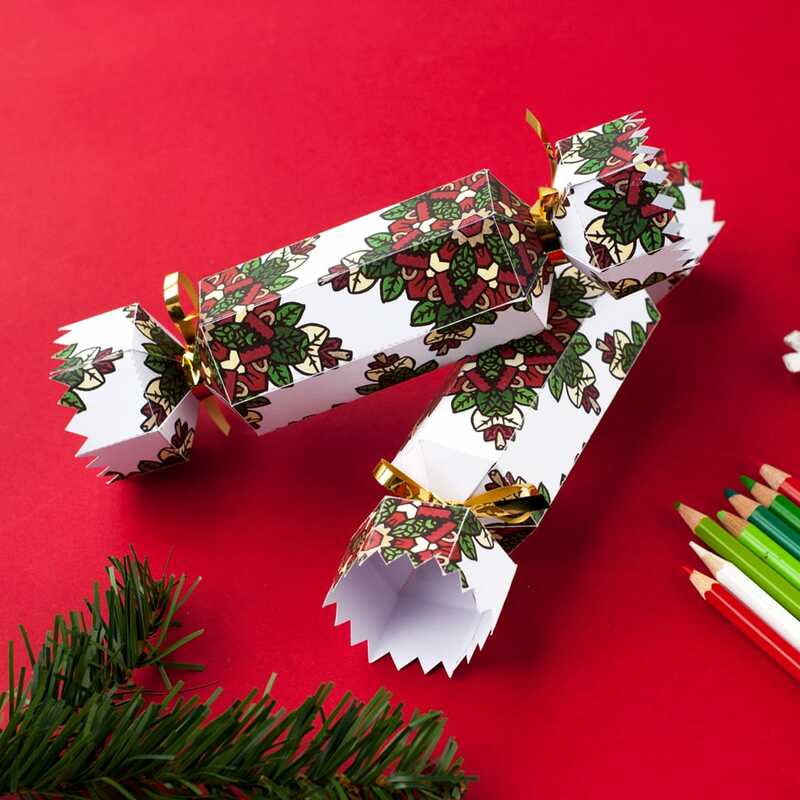 Tie a ribbon or twine around the other end of your cracker, and you’re done! 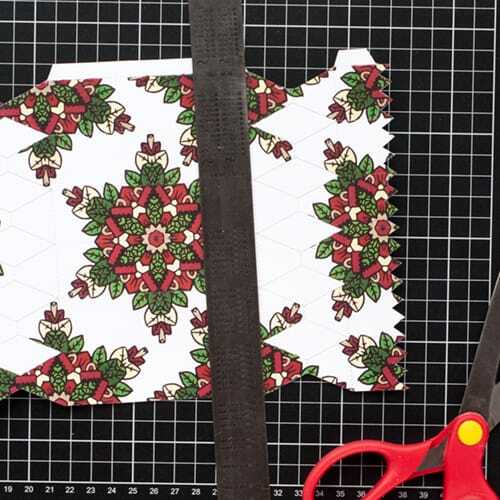 If you’re the kind of person who prefers video instructions, you can check out my original Christmas cracker blog post for a step-by-step video guide using my old template, which is no longer available, but the only obvious difference is that the old template had 5 sides, but this template has 6. Otherwise, the instructions are the same! 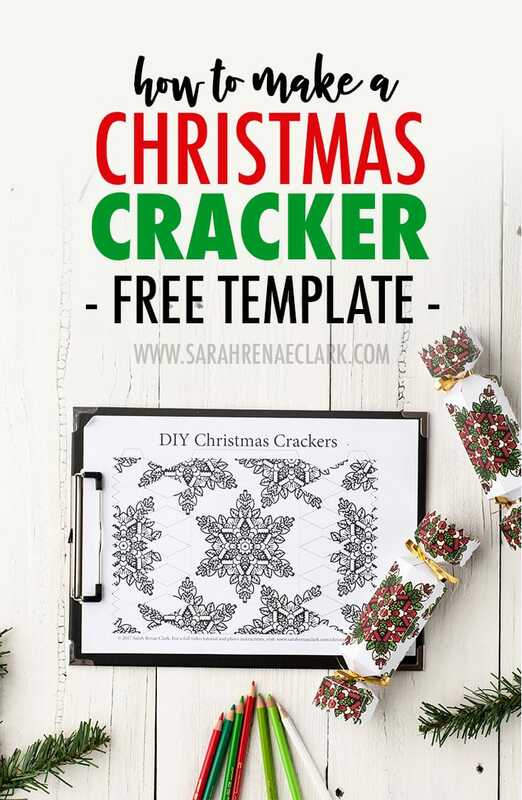 If you’ve enjoyed this free cracker template, get the whole pack of 8 Christmas cracker templates for just $4.95 and start coloring straight away to make your Christmas extra special. 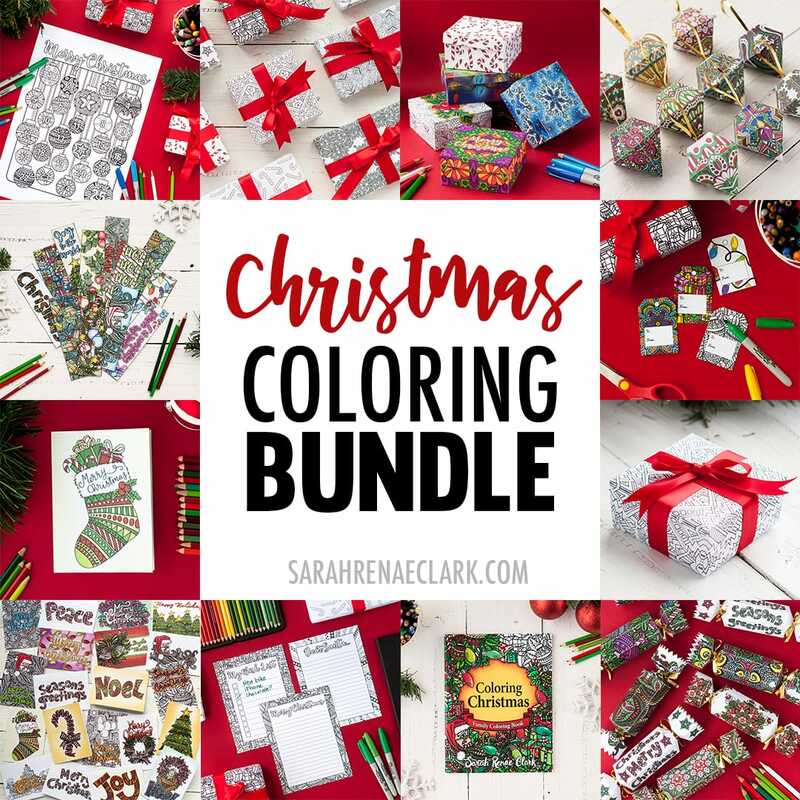 I hope you enjoy making these coloring Christmas crackers! 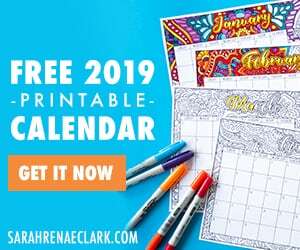 Tell me what you think in the comments and please use the links below to share with your friends or save this post for later.